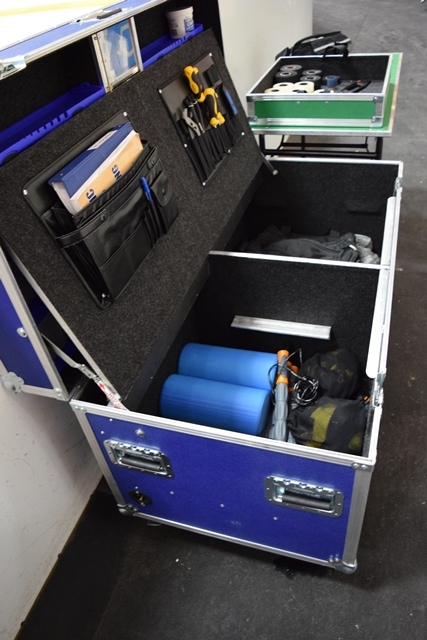 Heavy Duty Plastic Laminate Case Construction. ½” Built-In Plastic Laminate Work Surface. Fold-Out Work Table/Lid with 350 lb., Capacity. Fold-Up Lid Mounted 42” TV Monitor. Space for: Printer with Pull-Out Shelf on Glides. Space for: TV Receiver for access to all Video, TV & Photos. 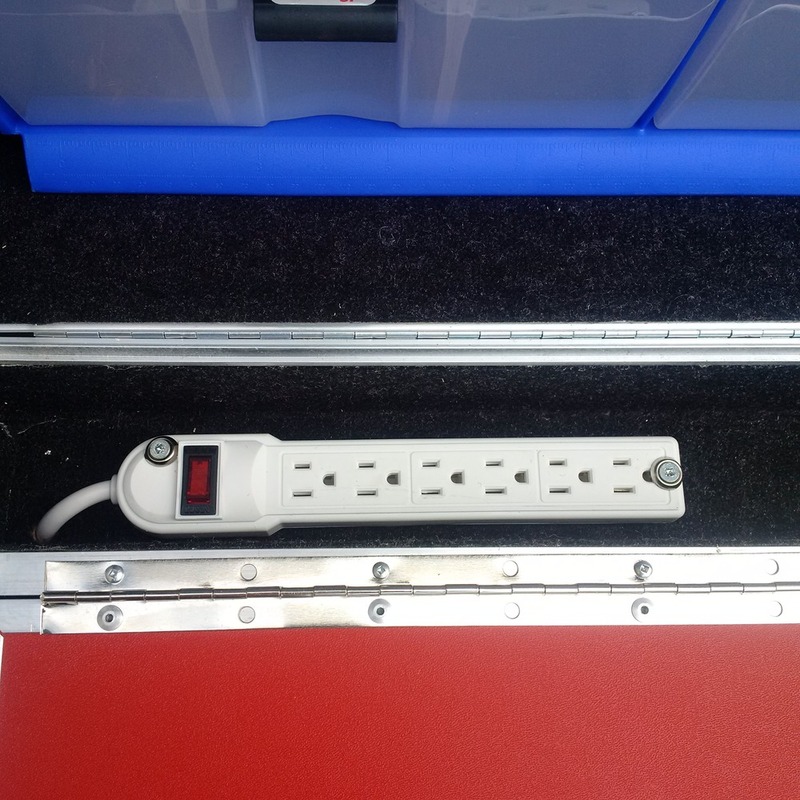 Recessed Work Surface 6 Outlet/ 2 USB Port Power Source. 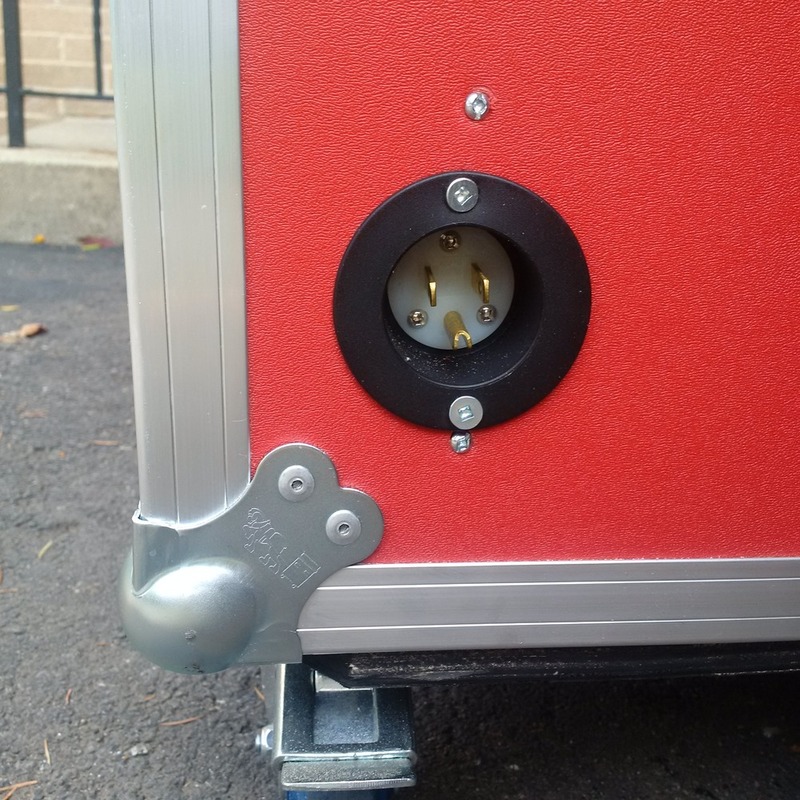 Exterior Flanged Inlet for Easy Extension Cord Plug-In. Padded Aluminum Storage Drawers for Headsets & iPads. 1,500 lb., Case Load Capacity. Heavy Duty Metal Locking Lid Stays. Heavy Duty 2.5” Steel Ball Corner Caps. Dual Recessed Metal Spring Loaded 6” Cushioned Handles. Lockable 4” Swivel Casters with Grease Valve. Heavy Duty Continuous Case Hinge. ½” Plywood Inner Case Partitions. Aluminum Case Tongue and Groove Valance.